If it's Friday, that means it is time to share some more awesome photos our readers have sent in of their Royal Caribbean cruise vacations! As always, we want your photos too, so send us your best Royal Caribbean photos so we can share it with the world. Let's get right into this week's batch of photos! First up is a photo of muster drill from Don Donahue. Muster drill is something we all have to do, but once it's over, your cruise vacation really begins! Next is a night shot of Explorer of the Seas while docked in Kings Wharf Bermuda, June 2010 from Shawn Holmes. Bermuda is one of those ports where Royal Caribbean stays overnight and it's a great sight to see Explorer of the Seas all lit up. 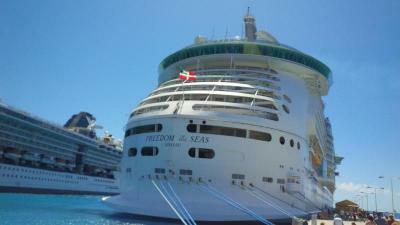 Christopher Pescatore sent us this photo of Adventure of the Seas on the December 2nd sailing in 2012 in St. Croix. The cloud above the ship is a little odd but otherwise, looks like paradise! Kris sent in this photo of Freedom of the Seas from February 2013 and I have to admit I'm a little bias towards this photo since Kris and I were on the same cruise. Ah, memories! 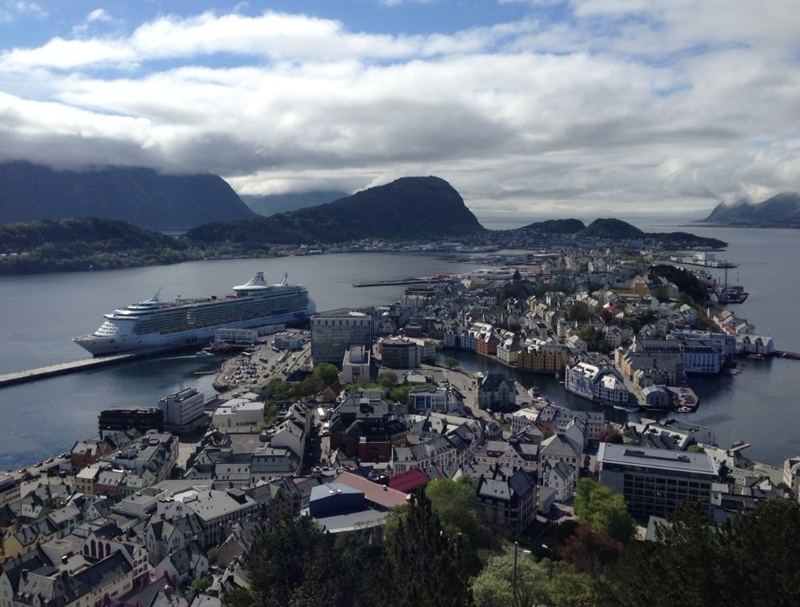 Next is a great view of Alesund, Norway and Independence of Seas in May 2013 by Chris Davis. I love photos like this that show off the port along with the Royal Caribbean ship! 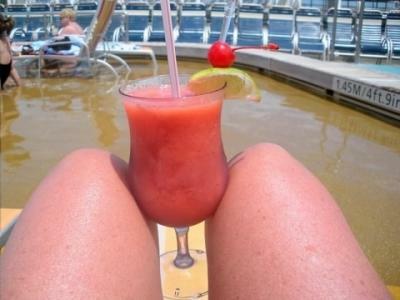 Judy sent in this photo and described it as, "My favorite way to pass time on board!!". Can't say I can fault her! It's hard beating a frozen concoction on the pool deck. David Domanski sent us this photo of Explorer of the Seas in the western Caribbean, which was also his first cruise on Royal Caribbean. When you go on an amazing ship like Explorer of the Seas and go to places with water color like that, it's easy to become Loyal to Royal! Thank you to everyone who sent in their photos this week. Have a great weekend and be sure to send us your photos so we can post them next week by using this form.